Its Derby, but not in Derby - and not in fact even in Derbyshire, but Bruntingthorpe. 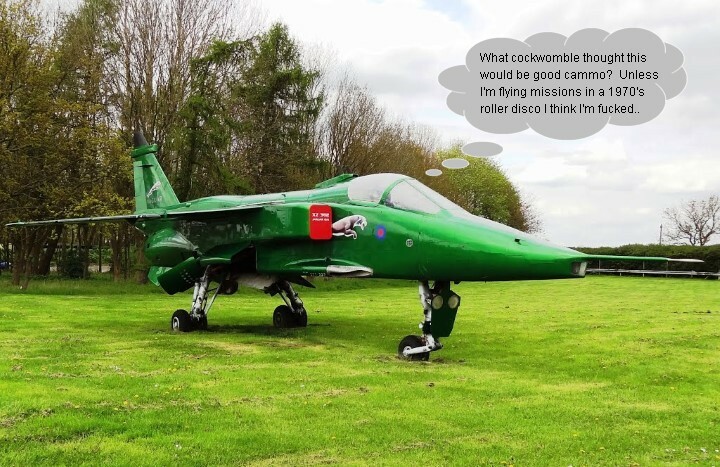 Which turns out to be an ex-RAF airfield in the middle of the Leicestershire countryside, with a rather garish electric green Jaguar parked outside as a gate-guard. The venue has a converted hangar, but astonishingly it appeared to have been converted very well - excellent lighting, plenty of space for the gaming tables, and no drafts even though we were right next to the main doors. This was to be an ADLG team competition, and the field had ballooned up to 10 teams of three as entries had flooded in from around the UK, and even from Italy, making ADLG the largest "mass battle" ancients event at the whole competition - just short of the quite remarkable 40 for Saga. The format was teams of 3, with 3 different pools - one 25mm and two in 15mm. I had plumped for the 25mm Roman pool, to get some table time for the Patrician/barbarian figures that have been being painted and appearing on this site over the last 18 months, but then - potentially foolishly - I had also offered to lend an army to another player. Clearly there are many ways to do this with a limited pool of figures to choose from - picking 2 lists and suggesting they choose being the obvious one - but in a fit of generosity I had instead sent a list of all of my relevant figures and said "take your pick", the only caveat being to leave the minima in the army list - a handful of Auxilia and some LH in this case. This approach led me to choosing an army list that majored on charging foederati cavalry and which required an Ostrogothic allied contingent to allow me to creep up to 200 points through the inclusion of their 2 compulsory bowmen (who can't really pass as Romans by any stretch of the imagination). The overall plan was to throw the Ostrogoths and Foederate horse at - and hopefully over/through - enemy heavy infantry, all while holding off the enemy horsemen with a line of supported Decadent Legionaries. My third "Auxilia" command had a couple of Javelinmen and a bowman, ideally making it wide enough to outmatch and outflank enemy Auxilia and equivalents in rough terrain. The first game was against an old foe - Dave "call me Daveed" Handley, the French-speaking colossus of northern wargaming with an entirely unsurprising Middle Imperial Roman army. The lists for the Patrician Roman and Middle Imperial Roman from this game, as well as all the other lists from the games at Derby can be seen here in the L'Art de la Guerre Wiki. As a relative newcomer to ADLG, Dave had gone big on Elite full-fat legionaries and a solid line of them faced me across the table, anchored on a wood on their right. I had hoped and expected the enemy army to stretch out further across the table, and possibly even have more than the 2 Cavalry it possessed and so the Ostrogoths were a little out of touch on my right, with the Decadent legions in the centre along with their 3 Foederate horse, and the Auxilia aimed at the wood on my left. Roman Armour - in the shops today! After giving sacrifices to Russell Crowe's garlic-infused punative expedition against the Gauls, the Ostrogoths and Foederate cavalry were hyper-keen to hammer into the handful of horsemen at the left end of the enemy line and execute a roll-up of the Middle Imperial line from its left. Hyper-keen is one thing, but being maybe a little light on pips to hold them is even more enthusiastic, and so they raced forwards towards the enemy, shuffling sideways to join up into a coherent line. The enemy Romans had a couple of LH on the extremities of their formation, but the 2 Ostrogothic bowmen could deal with them - it was all about piling on the pressure on the exposed end of the enemy line. The enemy Roman Legions had stepped smartly up to threaten the flanks of my by-now almost uncontrollable cavalry horde. Although this would be very bad for the end of my line of horsemen, at least it stopped some of the enemy Legions making a bee-line for my much poorer Decadent legionaries - and so what if some Foederate horsemen were flanked, they were still buying time for the main body of Ostrogoths to break through the weakly held end of the enemy formation. L Art de la Guerre hint - Hint - when in charge range, doing anything other than charging in with Impetuous troops costs 3 pips. That's a lot of pips - even if you have a really cool General. Lit by the fires of the temple of Francesco Totti's Pompeiian disasterous campaign against the Persians, my Auxilia command were suffering from a pip drought, possibly in sympathy with the fact my army was technically an eastern Patrician (hence the Isaurian Javelinmen) and were struggling to get forward in decent numbers to get into the woods and threaten the penny-packet enemy Auxilia. This could be a good area to press an advantage, so the frustrations of a slow advance, coupled with the over-eagerness of the Ostrogoths meant my battle planning was going off plan already. The Ostrogoths and Foederate cavalry got in cleanly along a broad frontage - with a couple of overlaps to help the attack looked well set up at this early stage - it would be all about achieving that early breakthrough in the first round! And that early breakthrough simply didn't come. Inspired by the spirit of Emperor Claudius' Lavazza-drinking sandals, the stoic Legions of the Middle Imperium stood their ground and then executed their overlap with ruthless efficiency, sweeping away the Gothic cavalry with ease and following up to press home their advantage. The theory of holding up the flank attack and breaking through the thin end of the line was not coming to pass just yet. The Roman cavalry were proving particularly resilient against the sweeping flood of Goths - even the Gothic General (with the windsock standard) couldn't achieve anything as the men around him were being whittled away. A detachment of Gothic horse were send round the unprotected flank to try and cause havoc and break the deadlock - but they would only be able to do so in a couple of turns, during which time they would have to run the gauntlet of being swarmed by skirmishers shooting them from all sides. As the Middle Minty Imperials had drifted to the left across the battlefield in pursuit of the flanks of the Goths, their line had become thinned and strung out, and their anchor on the terrain was now only held in the most tenuous of circumstances. This galvanised the Decadent Patrician Legionaries into action, and they inched cautiously forward to try and grab the attention of their Middle Empire counterparts hoping they would not notice the lone Auxilia who had broken off from the game of cat and mouse in the woods to join in and threaten the rear and flanks of the Middle Empire line. The Middle Empire Auxilia were better quality than the Patrician ones, but the presence of the Isaurian spear-throwers meant they were clearly outnumbered and so they had elected to turn and retreat into the woods chased by my men rather than stand and fight. This was where I needed to be forcing the pace but it was currently a procession rather than a fight. Finally the Goths achieved the multiple breakthroughs they had been working towards - Middle Rome's lone surviving cavalryman now looked like he was very much in the wrong place! The Middle Roman Auxilia continued to retreat, but finally were ZOC'ed by the pursuing Patrician Medium Infantry. They would now have to stand and fight - and with the Goths starting to rack up points, and the Legionary on legionary clash swinging my way as well, these two Auxilia could be the units that tipped the battle in favour of the Patrician part of the Roman textbook! Inspired by the spirit of Julius Ceasars' Lavazza-drinking leather petruges, the Middle Imperials were now launching a desperate rear-guard action against the newly revitalised - but badly attrited - Ostrogoths who sensed an opportunity to now start the proper roll-up of the Middle Imperial left flank that they had planned to do from the very start of the battle. What a crowd! This may be the biggest crowd ever assembled in human history, all here too hear me talk about our great victory here this morning. A lot of people, a lot of great, great people still pouring right now. Hey, let them in. Well, I promised you all a wonderful game, and truly, this was a wonderful game, truly wonderful - everything was fantastic. Apart from maybe the end result. But I blame Lying Cleopatra for that, and her un-Roman cohorts. Lets Make This Empire Great Again! This morning we joined together with our allies, our wonderful Ostrogoth friends, and we reaffirmed our shared customs, traditions and values - we love our Empire, we celebrate our Legionaries and our great, great Auxilia. We embrace our freedom, we respect our SPQR standards and we are proud of our history - apart from those parts of our history who opposed our agenda this morning of course. And we respect the Second Amendment, the right to bear our Pilums in public places all across this great city, and its many great golf clubs as well. After our amazing victory this morning, in which we won the electoral college of victory, and I tell you, we would have won on the body count and this so called "French" system as well if it were not for millions of illegal casulaties which should not have been recorded - remember this victory, as this is the first victory of our campaign to Make Rome Great Again! I came to Rome for you. Your dreams are my dreams. Your hopes are my hopes. And your future is what I'm fighting for each and every day. It's so important. I have no idea what planet you are on my Roman friend, but I do recognise almost all of the failings in this shoddily managed battle plan that I see again and again whenever you, or your brothers and cousins, take command of what should be a great army. Abdicating responsibility for choosing your troops to someone else is a clever tactic if you are looking to start the weekend with a ready-made excuse for multiple defeats and catastrophies, but as an approach to try and actually win a game and claim extra kudos it would require far more intelligence and capable military brain that yours to succeed. Your plan also struggled as well as your list - yet again you build your so-called strategy on a head-on attack against the best troops in the enemy army rather than trying to move your men into a position in which your best can take on the weak points in their line - and surely there are weak points as 200 AP only spreads so far on a 6' wide table.